Mel Cooke is a writer from Jamaica who wrote this piece for the local paper on Bob’s birthday. He gives an insight to the man Bob was. To know Bob you would realize unlike these present day musicians glamouring for fame and constant social media coverage, Bob was just himself, no airs and graces. He gives you the reader an insight on how personable he was and what music he listened to . Its the other side of Bob, the side not often told but the side which is the most important to the man we celebrate this weekend. Two tales are relevant to this attempt at disentangling Bob Marley’s mystique – which has no practical use to anyone, save for those who make money out of his music and image – from his very human self, through which we can learn tremendously. The intention is not to poke holes in his legend, but for us to see him as a human being from whom we can, and should, learn valuable lessons, and not simply see him as a far-removed shaman on whom we concentrate our need for heroes for one month each year. 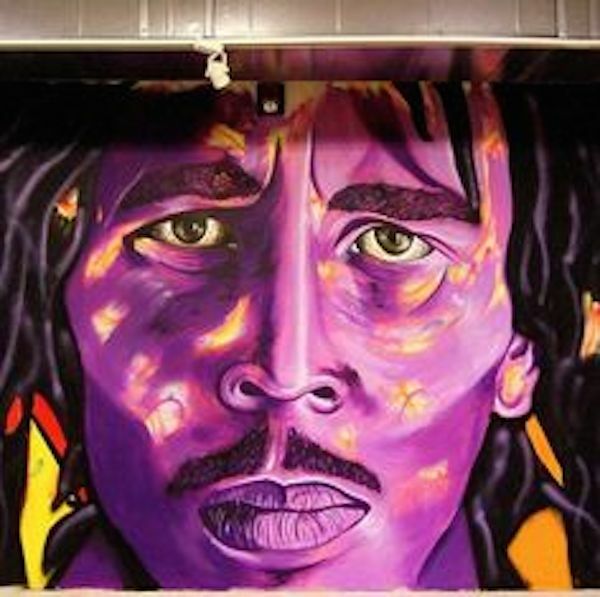 And I know a thing or two about hero worship and Bob Marley. As a pre-teenager on return trips to St Thomas from Kingston, when my parents stopped at the Harbour View Shopping Centre for supermarket stuff, I would stare at the album covers on the rack in the store – especially Confrontation and Uprising – and dream about owning them all. This was vinyl days, when the cover art was bigger than the screen of a 10-inch tablet computer. Tale one. In 1996, I took my only official tour of the Bob Marley Museum. It started in the courtyard and the female guide was twanging terribly. In giving the stories behind paintings on the inside of the wall delineating number 56 from Hope Road, she got to one where Bob had Michael Manley and Edward Seaga’s hands intertwined with his, over his head. She looked sharply in my direction, I kept admiring the bus. Both of us said nothing. When the tour was over, she came to me and said (without twanging) “tell mi suppen, yuh a Jamaican, nuh true?” I said yes. We had a hearty yet quiet, brief yet meaningful, laugh together, and that was that. Moral of the story? You don’t have to make Bob bigger than he actually is to impress anyone. Without embellishment, his tale is already the stuff that screenwriters dream of coming up with. Tale two: In 2009, Buju Banton was speaking at the launch of his Rasta Got Soul album at the Undercroft, University of the West Indies (UWI), Mona campus. The matter of Marley came up, and Buju said, as I wrote in the Gleaner story about a very engaging address, that “he (Marley) was one of the most promoted and well-promoted” artistes from Jamaica. Buju was right on both counts, and I will take the liberty of applying his comment about promotion to what he did not say about ability. Bob Marley was not even the best singer in The Wailing Wailers. That goes to either Peter Tosh or Bunny Wailer. Neither was he the best musician. It was Tosh, hands down. But what Marley had was something more valuable than a great range or precision with notes; he had the most expressive, convincing voice imaginable. When he sang, you knew he believed every superb lyric, and what is more, he made you a believer – if even for as long as the music lasted. So, if we take the unapproachable myth out of Marley and see him as a man – a very special one who comes along through a unique confluence of ability, circumstances and focus, which will never be repeated – what can we learn? What lessons from his approach to his craft can today’s artistes learn to lay to their own (hopefully) pursuits of excellence? Punctuality. By all accounts, the Tuff Gong was a stickler for time, including on tour, where one writer said he was always the first one on the bus when it was time to move out. Maintenance of standards. To summarise another Marley writer, he told the musicians that if they did not know a particular part of the music, they should not take a stab at it, but simply not play. He reminded them that musicians are in the audience. So, even if the general crowd did not care much about accuracy, Marley had regard for his peers and their respect. It was returned. Practice. The rehearsals were long and continuous, with spectacular results as captured on the Babylon By Bus and Live albums, especially, with tons more Marley concerts available on YouTube. My favourites are Live at Santa Barbara in 1979 (which I first saw on video cassette many years ago) and Live at the Deeside Leisure Centre in 1980, with a particularly moving rendition of Zion Train. Recruiting and, very importantly, retaining talent. Without the Wailers Band, Bob Marley would have been much less than he became. It was a unit of good musicians which put Marley’s voice and lyrics on a consistently suitable platform – even when the Gong put down his guitar. And while successful units have exquisitely bad timing in their breakups (think Black Uhuru), after Peter and Bunny left, the new unit was stable – harmony singers and all. Openness. This is on so many levels, but one more anecdote is applicable. Ahead of last year’s Fun in the Son, I spoke with Tommy Cowan, who showed me a photograph with Bob Marley on the wall of his office. I remarked to Cowan about a story I had heard, when someone encountered him listening to the Bee Gees. The person asked the Skipper why he was paying attention to performers who were so light and Marley replied that they had sold a million records. Cowan chuckled and told me he was a part of that story. So Bob was open to learning from the Bee Gees, his book of Haile Selassie, and the Bible. He was open to having rock guitars overlaid on Catch a Fire album (listen to the introduction to Concrete Jungle again), he was open to different music forms (Could You Be Loved, works in a disco mix, he hails a couple rockers on Punky Reggae Party). He was open to expressing hurt, whether it was Keep on Moving, in which he sings “tell Ziggy I’m fine”, as he had to leave for a while, or over a woman when he moans “my woman she’s gone” – it goes on and on. Importantly, he was open to being recorded. There are an amazing number of Marley pictures from different stages of his musical life, as well as concert and rehearsal recordings. So where my music hero ordered the cameras be turned off at the One Love Peace Concert, so we only have audio of that stupendous performance, the image of Marley with Seaga and Manley’s hands over his head is carved into popular culture. And, by all accounts I have heard from people who were there or read, Tosh was a hit that night and Marley almost wasn’t. I could go on and on and on and the full would still not be told. But while we talk about the Marley myths and mystique, we miss the message of his life, that excellence is possible through a process that he followed. No one is expected to be as great as Bob or anyone else; we owe it to ourselves to be as great as we can be at whatever we do. Today, Loop News is sharing some fun facts you probably didn’t know about the late King of Reggae. 1. At birth Marley’s name was, Nesta Robert Marley. However his first name and middle name were switched around because the name ‘ Nesta’ was thought to be a girl’s name, in order to ‘preserve his masculinity’ his name became Robert Nesta Marley. 2. Bob’s birthday was original listed in his birth certificate as April 6, this is because his mother took a while to officially register him. However, his birth certificate was later corrected to reflect Bob’s actual birthday, Feb 6, 1945. 3. As a pupil Marley excelled in Mathematics. 5. Bob left formal schooling early to pursue a career in welding. However after a piece of metal flew into his eye he quit the job. 6. The singer once cited that his experience interacting with jailed inmates, while being incarcerated for the possession of marijuana, lead him to write songs with a more political messages. 7.In 1963, a then 18-year-old Bob Marley penned his international debut, “Judge Not”. Unfortunately the single due a misspelling on the tape’s label was credited to Bob Morley. 8. Bob is said to have been very kind with his money. Often using his own funds to sponsor community projects and homes for friends and family. 9. Bob was named ” Robert” in honour of his father’s brother- Bob’s uncle. 10. In Bob’s mind, guess what the abbreviation BMW stood for. Yep, you guessed it. BMW is the abbreviation for Bob Marley and the Wailers. hooked up with this video recently and had to post it. 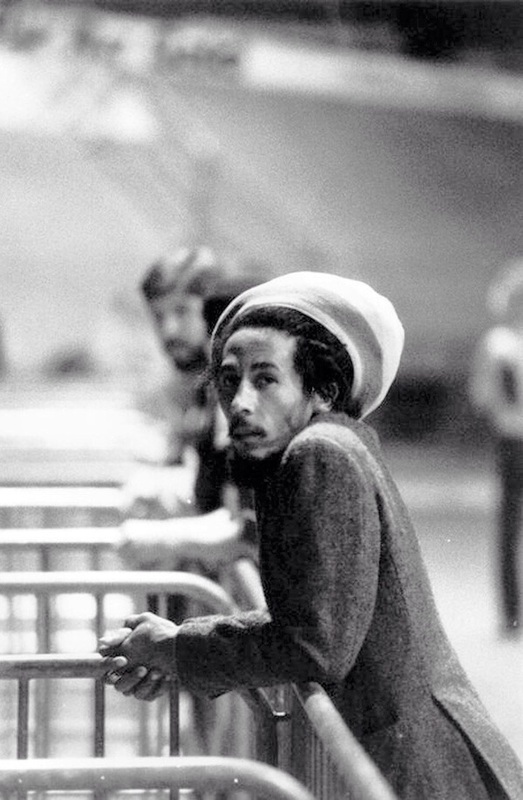 Photographer Dennis Morris was a 16 year old student when he met Bob and asked him to photograph him. Bob in his usual self said yes and as they say ,the rest is history. Dennis spent a lot of personal time with Bob so the images are intimate and personal. As he says every image has a story. The video brings home in the end Bob’s facing his own mortality and Dennis remembrance of this is touching. Bob Marley, Giant is a simple but awesome docu on the personal side of Bob. Watch and enjoy. Part 5- CINDY & BOB, ONE LOVE. The final installment of the Bob and Cindy , the inside story of an affair between 2 mature and consenting adults,. The series gives an insight on 3 people’s perspective on love and relationship , Cindy, Bob and Rita. I am surprised at how the ladies that read this series are reacting. Seems to me most if not all of them are fairly understanding. One reader even went as far to say that Bob lives by his own rules and not society’s rules. That is true but in reality how many women could be a Rita or a Cindy in a similar situation? How many are going through a similar scenario presently and are affected positively or negatively ? Are we seeing how times have changed including relationships? To say that only Bob does this is furthest from the truth . Most people do this. So what does it say about relationships? What is says to me is nothing is perfect. Life is messy. Outcomes are uncertain. People are irrational. A relationship is like a job, you have to work hard at it to make is successful. So to be distracted by crisis is allowing the crisis to win. 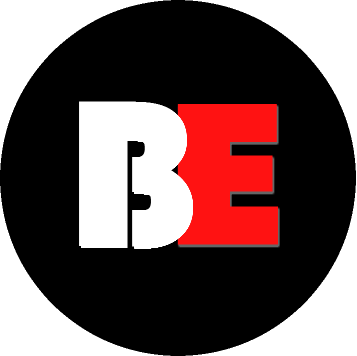 People are not perfect and that is why those words “For Better for Worse” mean just that,.. for better or worse. Here is the final installment . Enjoy. When Cindy Breakspeare spoke at the Annual Bob Marley Lecture at the University of the West Indies, Mona, two Thursday ago, a number of women in the audience cried openly. Breakspeare herself cried during the hour-long lecture organised by the Institute of Caribbean Studies and the Reggae Studies Unit. “Several times she had me in tears. She herself broke down at one time but recovered her composure with grace and wit! It was truly a wonderful love story which I believe warrants a book,” stated Donna Haynes, who was in the audience. Since The Gleaner’s first publication of ‘Cindy Tells All’, women and men worldwide have taken to social media, commenting on what they have described as the love story of the century. Breakspeare, in her presentation, spoke of how she found out about Marley’s marriage to Rita, how all the women in his life joined hands while he struggled with cancer, and how she sat at the back of the church during his funeral. “During Bob’s funeral at the National Arena, I sat in the back with Cat and Donna Coore. There was no seat in the front row for us. I was definitely the other woman,” she admitted, as those in the audience wiped tears from their eyes. Breakspeare said during her lecture that after Marley collapsed while jogging days after his last recorded show in Pittsburg on the 23rd of September, 1981. She and Rita travelled with him to Sloan Kettering in New York. The cancer which they thought was in remission had returned. This time, it wasn’t his toe alone, but his lungs and brain. According to Breakspeare, Sloan Kettering began a very aggressive treatment of massive doses of chemo. On Marley’s release from hospital, Breakspeare and Rita shared an apartment, along with Bob, where they could cook, take care of him and have the children around. “So things could feel as normal as possible,” she said. Recounting that period in her life, she said this was no time for petty jealousy and bruised egos, “It was a time for One Love in the broadest sense of the phrase”. 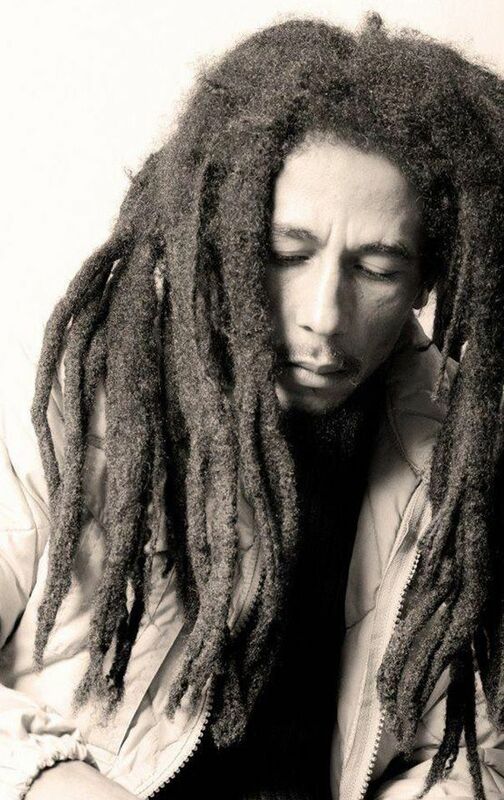 Marley’s two main women comforted and cared for him until his last days when he died in 1981. Today, Breakspeare pays tribute to the man she married after Marley’s death for taking such good care of her and Damian. “Thank you Tom (Tavares-Finson),” she said publicly during the lecture. It been 33 years since Bob said goodbye, she said, but his light burns brighter than ever through his music and through his children. One of her greatest joys, she said, “is to watch Damian take the stage while Donovan keeps the flag flying tireless overhead”. For Cindy Breakspeare, Bob Marley was indeed a natural mystic right up there with Mahatma Ghandi, Martin Luther King and Nelson Mandela. This, she says, is evidenced by the fact that his legacy continues to grow.